Browse the latest new homes by Cumbrian Homes Limited nationwide. One of Cumbria’s leading housebuilders, Cumbrian Homes has over 40 years of experience in building new homes. 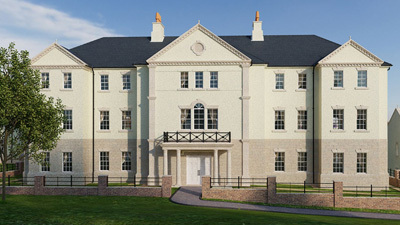 It designs and builds high quality, luxury bespoke homes, working with customers right from the planning stage. It opts to use some of the newest building materials available to ensure some of the most energy efficient homes around, and adds design features to help make the homeowners life easier. Cumbrian Homes also uses local materials and suppliers wherever it can, as well as installing luxurious fittings and technology in order to create rural living with the convenience of modern homes. The government-backed Help to Buy scheme is available on all its sites, on homes up to the value of £600,000, which gives homebuyers the chance to purchase a property with just a 5% deposit. The government will then provide a loan up to the value of 20% of the property, so the purchaser will only need to secure a 75% mortgage. The company only builds a small number of homes each year in order to provide customers with a truly personable experience. It has won the NHBC Gold Award and is well-known for building quality homes in beautiful locations. Choose a Cumbrian Homes Limited development in this area.